Poemcon. 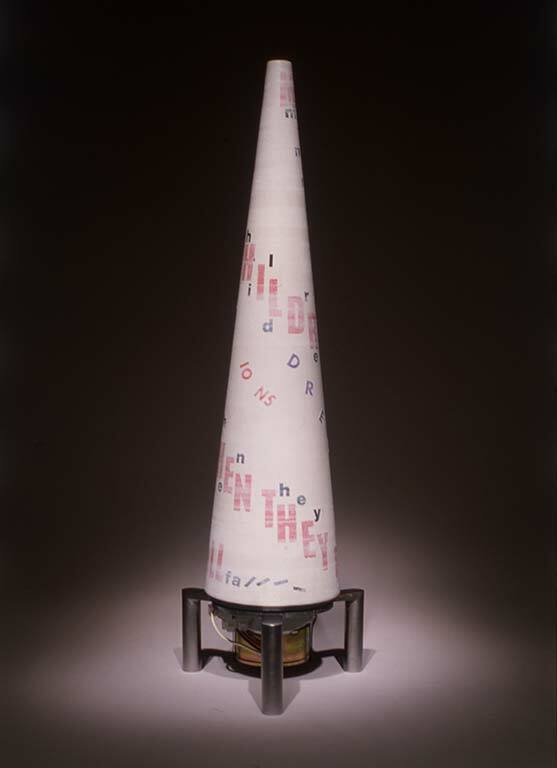 Letraset and vinyl transfers, gouache on turned mahogany cone, electric motor. Text from poem by Leonard D Marshall.